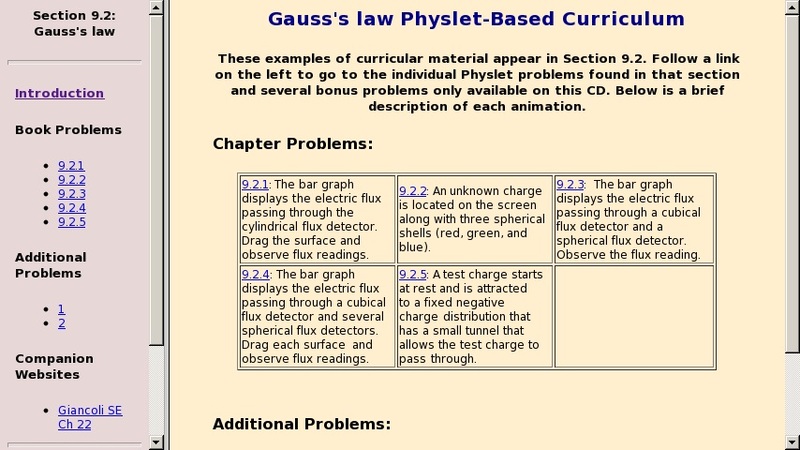 These examples are from introductory physics and selected examples of advanced material. They can be used at the beginning of class to introduce topics, during the middle of a topic to test whether students are ready to cover additional material, or at the end of a topic to test students' knowledge of the material just covered. This page contains frames with links to the Physlets webpage.